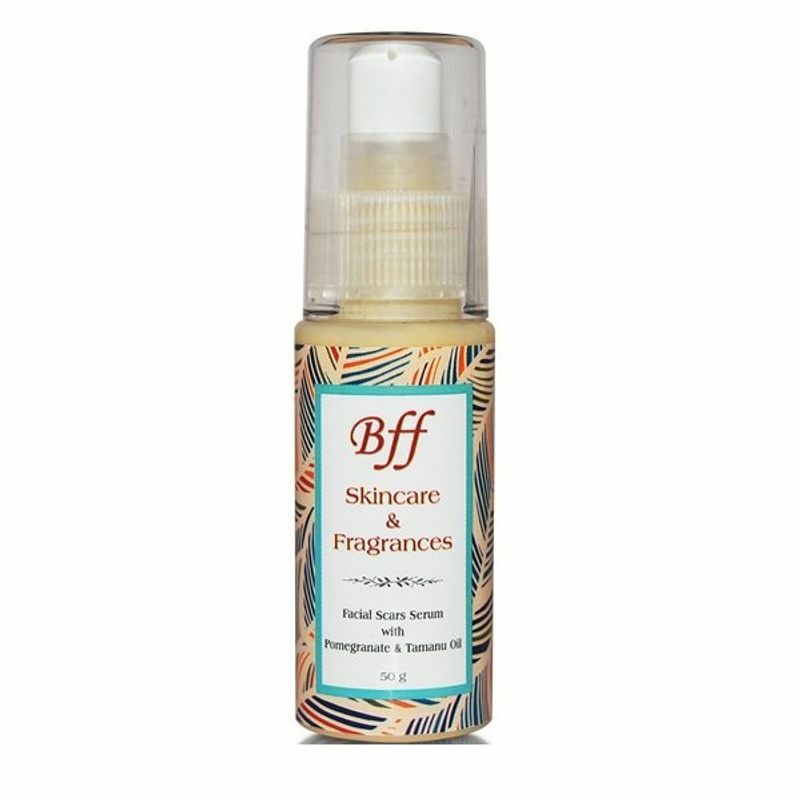 Whether you have dark spots, skin break out scars, dull skin or dry skin, BFF Skin Care's Facial Scars Serum will tackle all those issues. 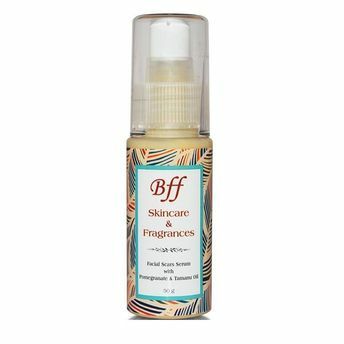 This serum and rollerball tool are intended to lessen the presence of both new and old scars, and enhance the skin's surface by softening the scar zone. With continuous use of organic scar serum, you can find your scar visibility is astoundingly minimized. It also reduces the dark spots and exfoliates the damaged skin. Pomegranate: It promotes regeneration of skin cells, healing Scars & Damaged skin.